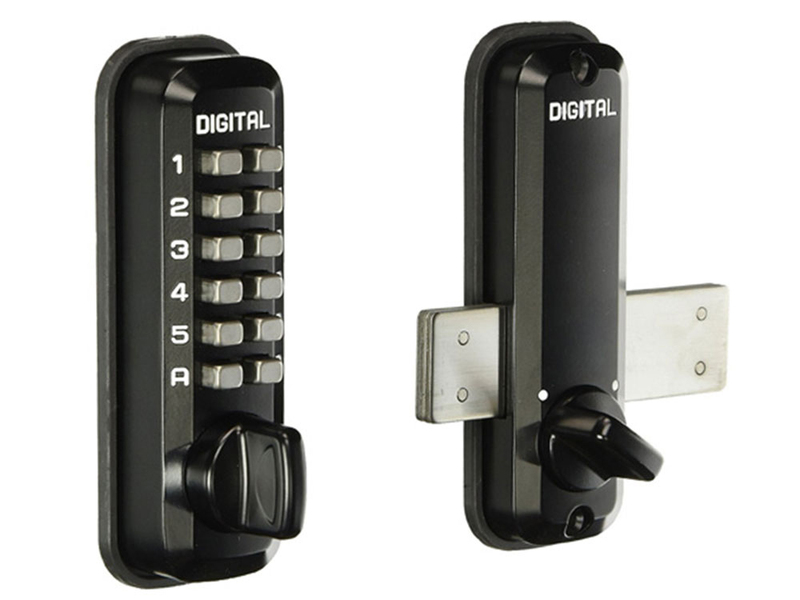 The Lockey Thin Door Kit makes it possible to install surface-mounted locks (C Series, M220, 2200, 2500) on doors that are between 1/4" to 7/8" thick. 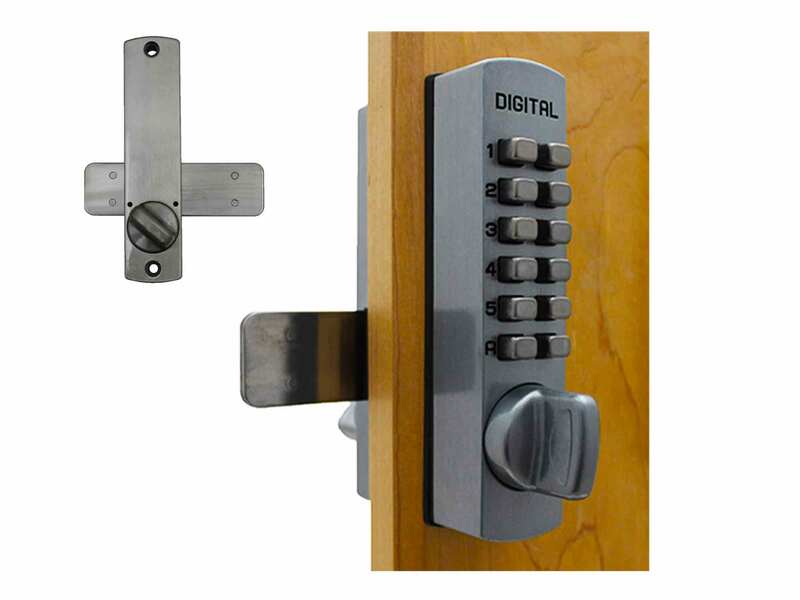 This won't work for deadbolt and latchbolt locks which are inserted into the edge of a door because the bolts are too thick—almost ¾ thick. 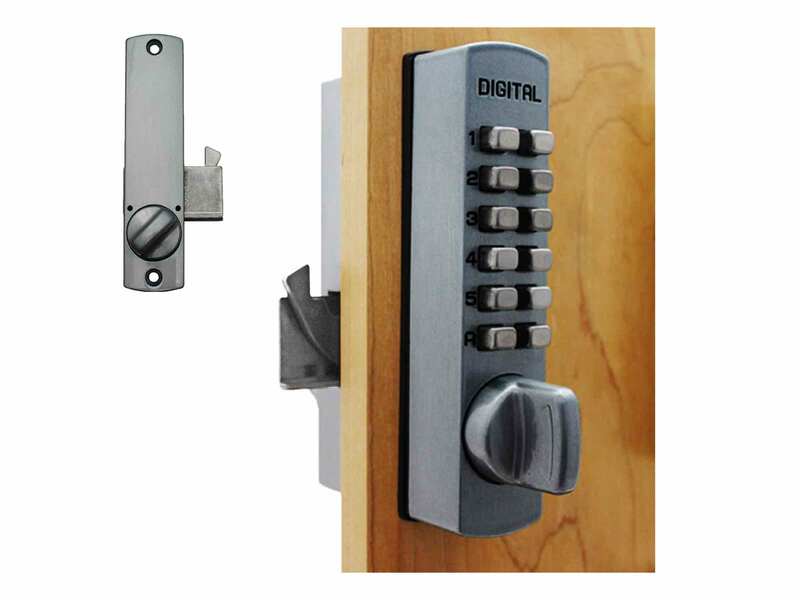 KITS: (for installing locks on different types of doors/gates). 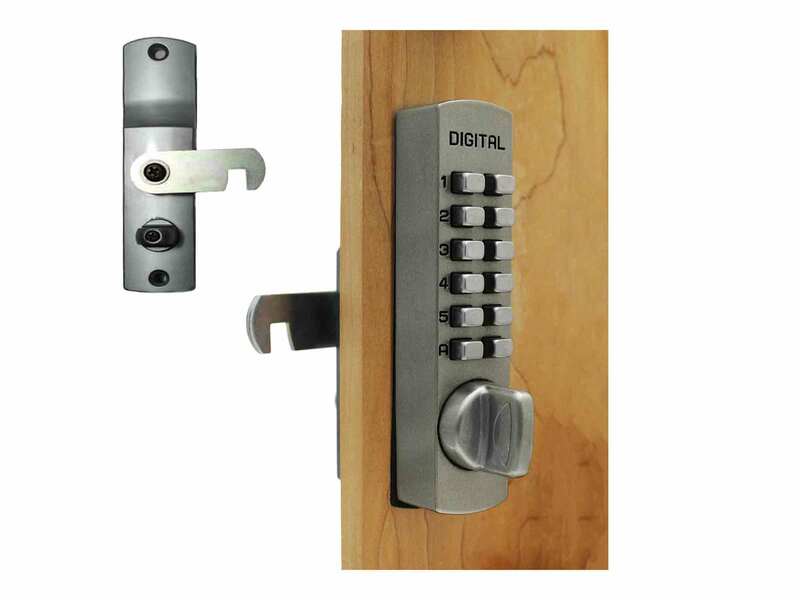 Thin door kits are only used for surface mounted locks with a slide bar or hook bolt because deadbolt and latchbolts are too thick. 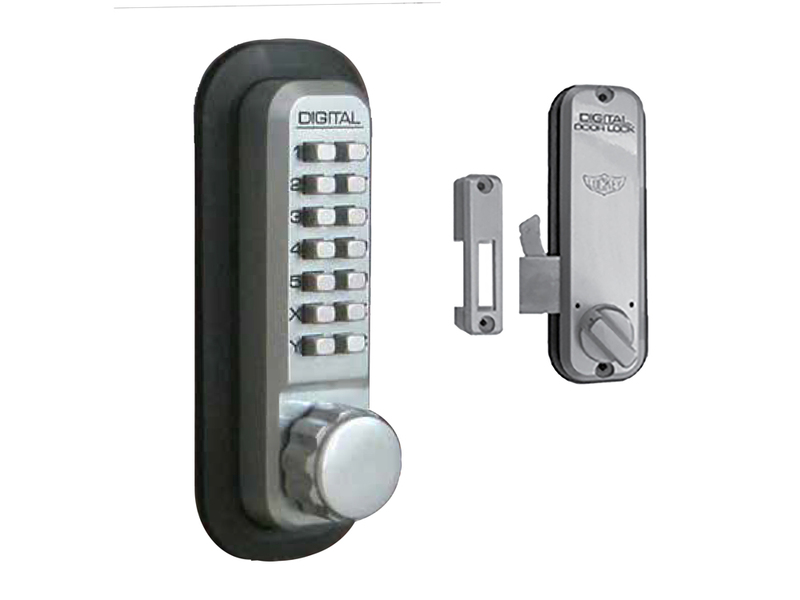 This must be ordered at the time of purchase because it requires modifications to the lock body. Otherwise, you may have to send in your lock or make the modifications on your own. If your lock has a key override and the spindle is permanently attached, we recommend you cut the spindle to the length that you need. You will not need the spindle from this kit, but you will need the hex bolts if the door is between 1/4" to 1" thick.